Morning Sparrow offers beautiful nature-inspired jewelry handmade by a Kansas artist! 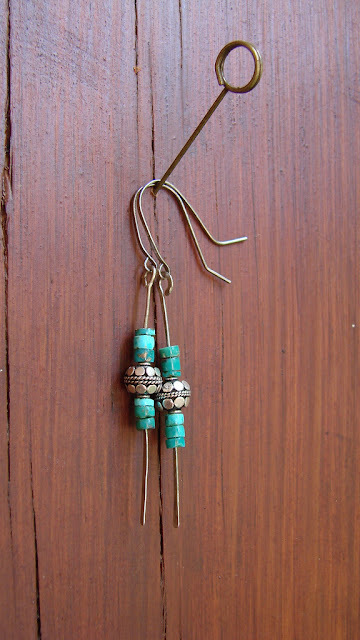 For a chance to win these earrings, like Morning Sparrow on Facebook and leave a comment on this post. Entries accepted through next Monday, October 31st at noon central time. Open to residents of the US and Canada. One entry per person. beautiful! i liked them on facebook! I like them on Facebook and I LOVE Kansas Couture! Thanks for another lovely giveaway! Liked on FB. I am on a huge turquoise kick! Would love to win. I liked Morning Sparrow on FB, and I love that they're local! Always happy to support a KS artist! I liked them of fb, too! Very pretty and unique. Liked them on FB. Chrissy, cmbauerisu at the gmail. Love the earrings! I liked Morning Sparrow on facebook! Oh man, turquoise and silver. One of my favorite combinations :) Liked them on FB!